When are children old enough to smell a flower, touch an earthworm, or talk about the Nature of Science (NOS)? « The Next Generation Science Standards: Ready or Not, Here They Come! When are children old enough to begin exploring the natural world? Can a three-year-old touch a crawling beetle? Can a two-year-old smell a flower; can a one-year-old? Can a 3-month-old feel a leaf? This question was raised in a recent training session about helping young children learn more about the small animals they are curious about: worms, insects and other small animals. People disagreed about what age would be appropriate to allow children these experiences but there was no disagreement about five-year-olds being ready to observe for longer periods and draw pictures of what they see. We also agreed that early childhood educators must know the children in their program and what activities they can safely engage in. As a family home child care provider I checked flowers for bees and others before bringing a child (including babies) close enough to smell—but not to taste! My yard only had plants that were not toxic so I did not have the lily-of-the-valley plants or wisteria vines that bear flowers I love to smell. See these sites to find out more about poisonous plants—no list is complete but they are a good place to begin learning. Early childhood educators may also wonder when children are old enough to learn about the “Nature of Science” (NOS) or how science ‘works’. Researchers are also interested in what young children can understand about aspects of the nature of science—read the article, “Demystifying Nature of Science: Two activities help young children understand the nature of science” (Lederman et al 2014), in the September 2014 Science and Children. I also learned from studies by Akerson and Donnelly (2009, 2011) including “Teaching Nature of Science to K-2 Students: What understanding do they attain?” Children who have an understanding of the nature of science, or how science works, may be able to apply it to many situations, not only the times they know some information. In the September Early Years column, “The Nature of Science in Early Childhood,” I wrote about an activity to teach one aspect of the nature of science, understanding the difference between observation and inference. Children eagerly wondered what was pictured in their piece cut from a larger photograph of an unknown object. What could it be? Before I would listen to their inferences (what it could be), I asked them to simply describe their observations, what they did see–shapes, colors and any recognizable objects. What do you observe and what do you infer about this photo? See the full photo here. Other opportunities for teaching children the difference between describing what they notice and telling what they think it means can happen when observing and caring for animals in the classroom. While caring for classroom crickets, children make observations—they notice when a particular cricket stays inside a cardboard tube. “It misses its mommy” or, “It’s shy,” they say. These statements are their inferences—the children’s best possible explanations for the cricket’s behavior based on what they observe and their prior knowledge of animals, including themselves. We can help children begin to understand that their observation is different from the meaning they give to it, an inference. We can ask children, “Tell me what you observed and then tell me what you think is happening,” in any exploration. In later discussions we might ask, “Are there any other reasons why you, or another animal, like to be inside a cozy space?” Animated discussions where children talk about differing meanings inferred about the same observation are an important part of science. Children recall when they were in a cozy space pretending to be bunnies, or finding a quiet place to rest, or hide. Part of science inquiry is considering alternative explanations and it is okay if scientists (including children) don’t agree. 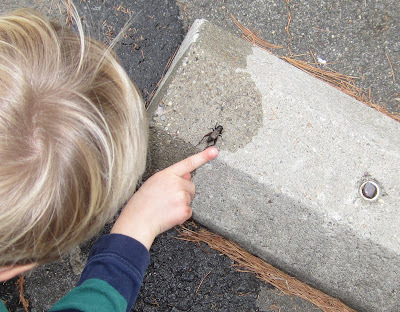 Young children may not be able to investigate why that particular cricket often stays inside the tube, but they do notice patterns of behavior and communicate it through conversations, discussions and drawings. The entire September 2014 issue of Science and Children concerns the Nature of Science and the Next Generation Science Standards. A great resource for beginning the school year and deepening our own understanding! Lederman, Judith and Selina Bartels, Norman Lederman and Dionysius Gnanakkan. 2014. “Demystifying Nature of Science: Two activities help young children understand the nature of science.” Science and Children. 52 (1): 40-45. 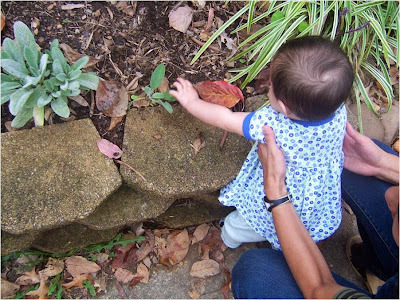 This entry was posted in Early Years and tagged activity ideas, Akerson, early childhood, inference, nature of science, observation, poisonous plants. Bookmark the permalink. Trackbacks are closed, but you can post a comment.